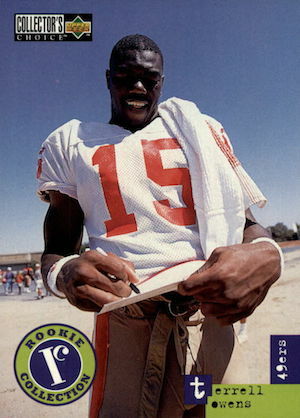 Just like TO in front of the camera, Terrell Owens rookie cards continue to draw attention. 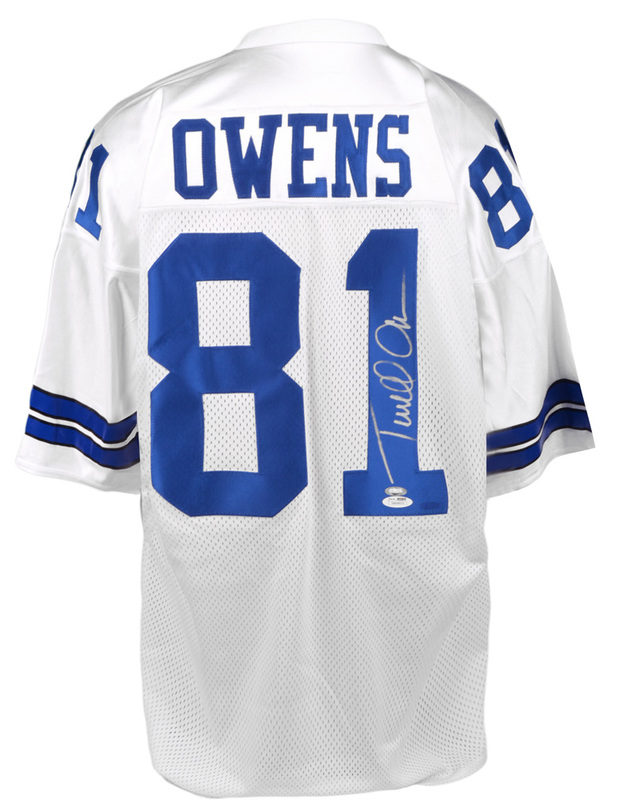 Although Owens always comes with a little extra drama, the Hall of Fame receiver remains one of the modern greats of the NFL. 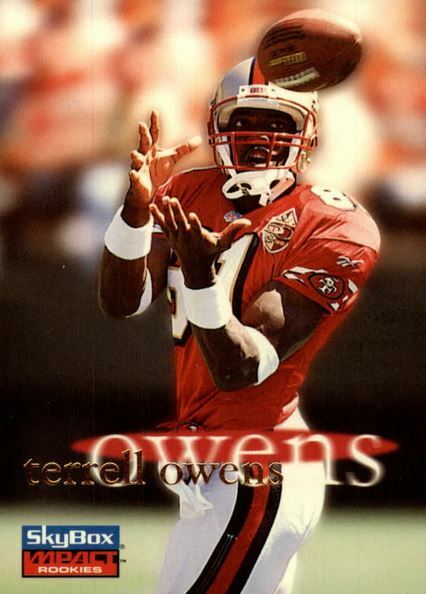 Downright sparse compared to the years to come, there are just 10 Terrell Owens rookie cards released in various 1996 products. In addition to these are several inserts from first-year sets. Owens' first certified autograph card can be found in 1997 Leaf Signatures Series. The card has a known print run of 3,000 copies, but it is not serial numbered. 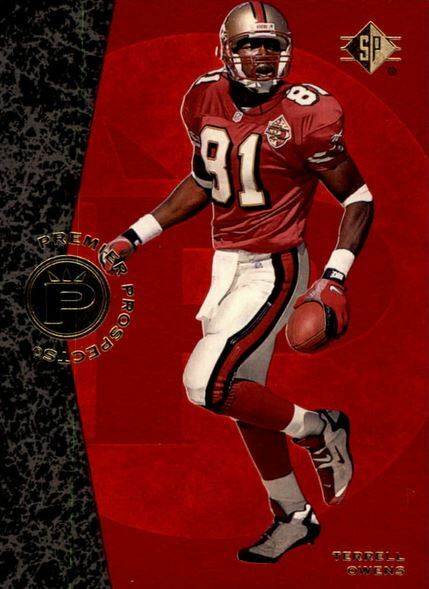 The first memorabilia cards for Owens were issued in 1999. One option is a game-used football card in 1999 Collector's Choice. The other is found in 1999 Playoff Contenders via the Game Day Souvenirs insert. Neither card is serial numbered and exact print runs are unknown. 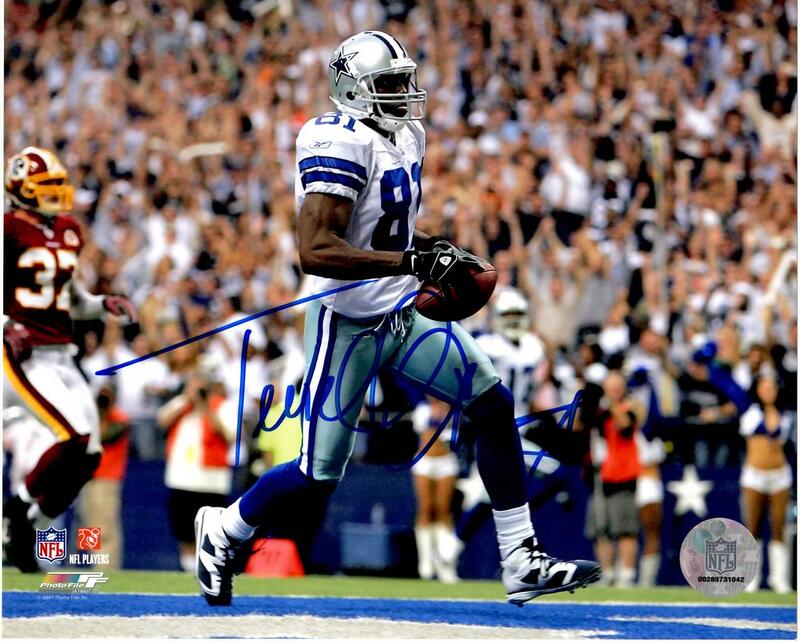 In addition, Terrell Owens autographed memorabilia commands a premium on the secondary market. 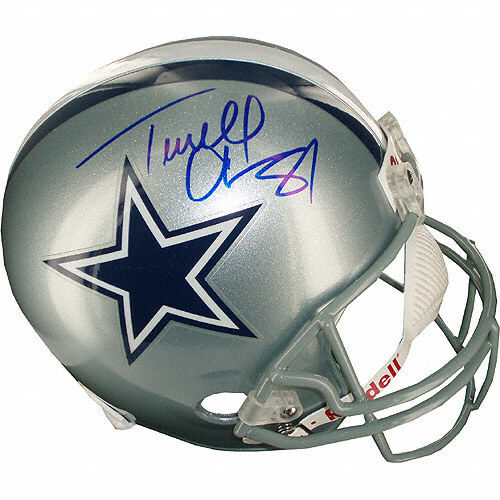 Demand for his signature will rise with his induction into the Pro Football Hall of Fame. 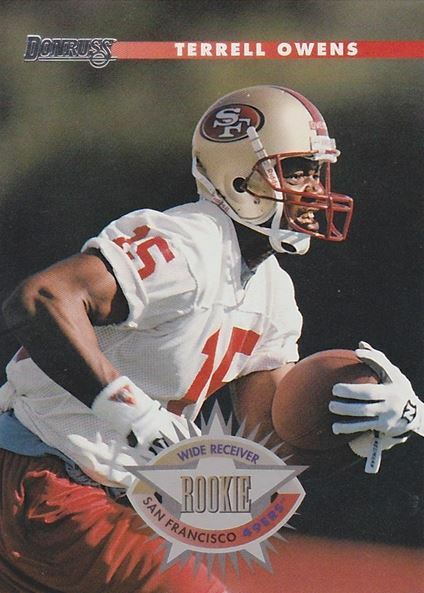 1996 Bowman's Best has one of the most popular Terrel Owens rookie cards. Printed on chromium card stock, the embossed accents add a nice bit of detail. Plus, the Refractor and Atomic Refractor parallels provide a valuable chase. 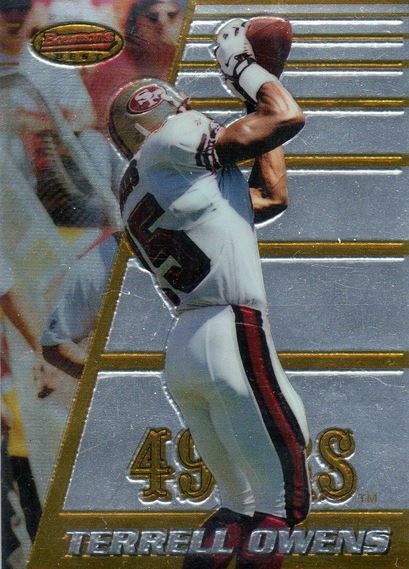 Upper Deck's 1996 Collector's Choice Update is a solid rookie card for collectors on a budget. The casual photo of Owens signing an autograph helps it stand out and makes it more fun. Similar to Collector's Choice, 1996 Donruss is a clean, no-frills card. As a result, it's extremely affordable and not tough to come by. 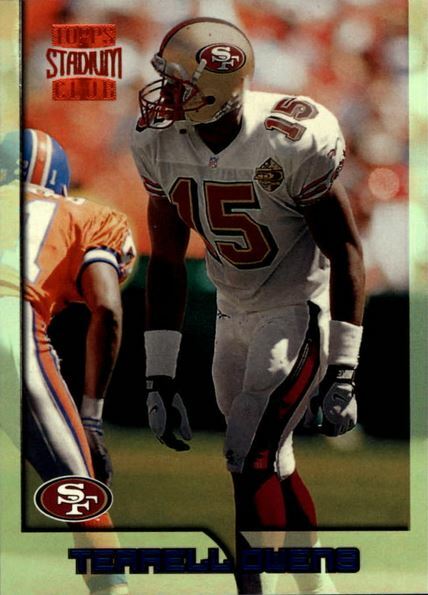 The 1996 Pacific Crown Collection card commands a premium despite Owens not being pictured in an NFL uniform. From a release date perspective, this was one of his first rookie cards on the market. The die-cut look has been the calling card for the Pacific Crown Royale brand since its debut. 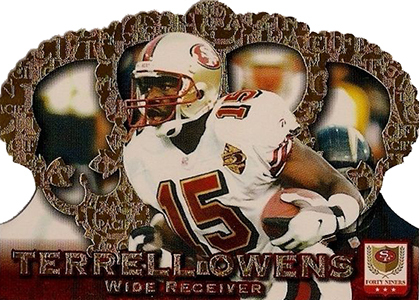 1996 Crown Royale gave collectors something very distinct and this is one of the most popular Terrell Owens rookie cards. The dynamic 1996 Pacific Invincible was a big hit with collectors upon its release. Considered one of Pacific's high-end lines at the time, Invincible offers multiple parallel tiers for Owens. 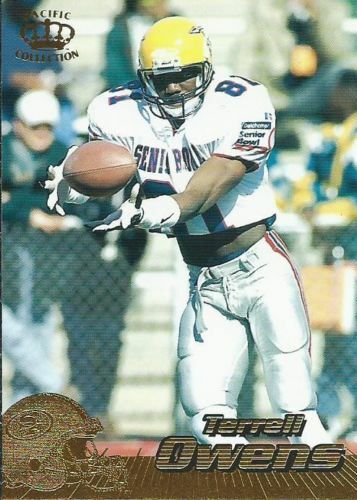 The 1996 SP Terrell Owens rookie card is popular to submit for professional grading. If it returns with high marks, it can command a substantial sum given the sensitive condition of the set. The SP name also carries a lot of prestige, even if this isn't one of the top releases the brand has produced. 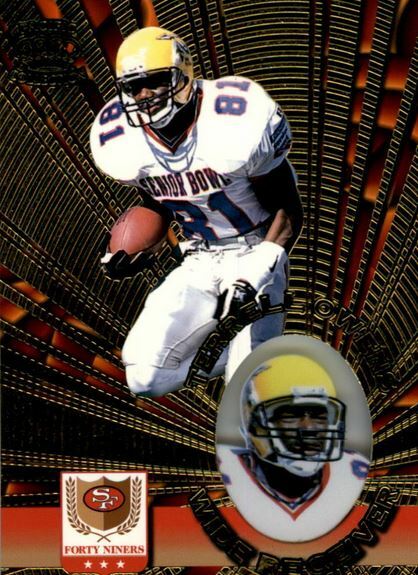 Skybox has a niche following and the 1996 Impact card is a moderately priced option for Terrell Owens collectors. In addition, the full-bleed action shot is an attribute that isn't present on many of Owens' rookie cards. The Stadium Club brand has always been well-respected and 1996 TSC is no exception. This is another popular choice for Terrell Owens rookie card collectors. 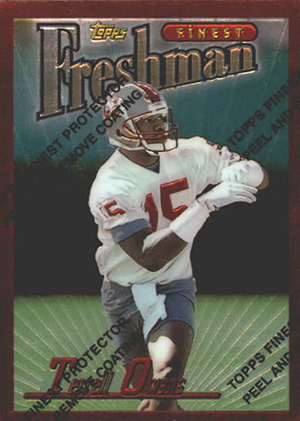 Near the top of the Terrell Owens RC list, 1996 Topps Finest Football does have a couple of quirks to it. Cards came with a plastic coating intended to protect the surface. The idea was that collectors would peel these, but many didn't. Although many prefer the coating kept intact, it looks so much better without it but that makes it more susceptible to scratches. Also, the base set is broken down into Bronze, Silver and Gold subsets. The Owens card is part of the Bronze tier, which is the most common. However, he has a rare Refractor version, as well. 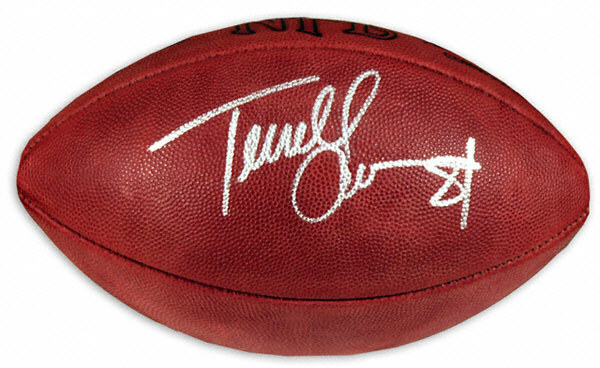 Below you will find examples of what an authentic Terrell Owens autograph looks like. This can be used as a first point of reference for determining the legitimacy of autograph memorabilia, but is not a substitute for having your items authenticated by a well-respected professional autograph authentication company. Some of the trusted sources within the sports memorabilia market include the following companies: PSA, JSA, Steiner, Tristar and Mounted Memories. The signature is written on an even horizontal plane. The two most dominant letters are the "T" and "O." The remaining letters in both the first and last name are attempted but not always legible. In his first name, the "e"s show no loop. The first "l" is smaller than the second. The "w" in in the last name is connected to the "O." It flows into the "e," again showing no loop. The "n" is implied by a line coming off the "e."
TERRELL OWENS 2001 UPPER DECK VINTAGE AUTO AUTOGRAPH CARD! HALL OF FAME!